Homelife wrecked, Adam agrees to spend his birthday camping with his best friend, Eric. What they must endure will test the limits of their friendship … and their sanity. Adventure-seekers at heart, these men have no idea what awaits them in Manton. A follower and an introvert, Adam is content accepting whatever life throws at him. Eric, Adam's gregarious best friend, talks Adam into a different birthday present, one that proves to be more than a distraction from life's dramas. Although seasoned outdoorsmen, neither man is prepared for what they uncover. Who can help them? Who can they trust? Frequent dangers they face possess the power to consume their very souls. Adam and Eric must grow together if they are to survive. Will Adam become the man he only dreamed of being? If not, what awaits them in "Man Cave" will most certainly destroy them. available on ebooks for $2.99. 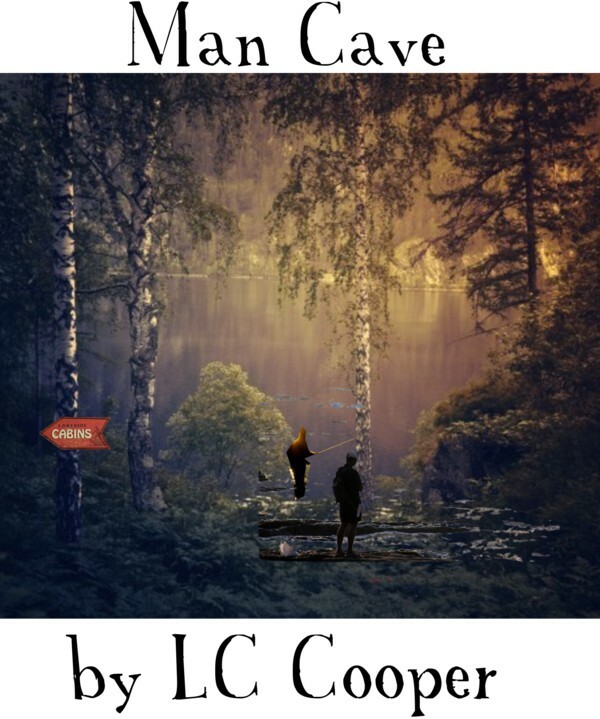 LC Cooper's Novel Man Cave is a brilliant fictional work of survival and revenge. Not a typical Man Cave story, however, I have learned from LC Cooper that everyone's "Man Cave" is different and has different uses. Leave it to LC to create a riveting page turner that left me yearning for more. A true survival story set in the beautiful theater of nature that is both healing and forgiving. In the author's notes, LC Cooper informs the reader that this is written in first person and as a man. A challenge LC triumphed through in beaming colors! Enjoy this inviting, creepy, dramatic, revengeful page turner. Man Cave is a MUST READ! As an avid reader of Stephen King books, I really felt LC Cooper captured this writing style perfectly! I give this book 5 STARS!!!! !